Northeastern Macedonia faced a severe water resource deficiency and experienced seasonal shortages of drinking water in urban and rural areas. Further, a high incidence of waterborne diseases indicated that water resources were being contaminated by untreated municipal wastewater. The municipalities affected included Kratovo, Probistip, Zletovo, Sveti Nikole, Lozovo, Karbinci, and Stip. The area also encountered a shortage of water for irrigation in the dry season, limiting the productivity of wheat and other crops, keeping the area underdeveloped with high rates of poverty. Upon request from the government of Macedonia, Japan provided a JICA official development assistance (ODA) loan to assist in solving the seasonal shortage of municipal water in the above areas. 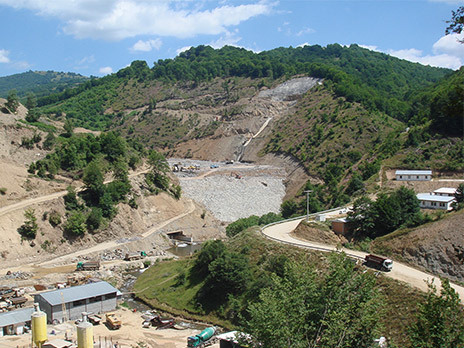 The objective of the consulting services was for construction of a multipurpose dam (total reservoir capacity: 23.5 million m3) on the upper stream of the Zletovica River, 80 km east of the Macedonian capital Skopje, as well as related intake and raw water transmission facilities in the neighboring area. Between 2011 and 2014 OC Global provided services to support the construction of a new water treatment plant at Probistip and rehabilitation of the water treatment plant at Stip.